BOP's love of The Iron Giant has grown to legendary proportions by now. Before the world was introduced to Brad Bird's genius in The Incredibles, we were already celebrating his earlier success. 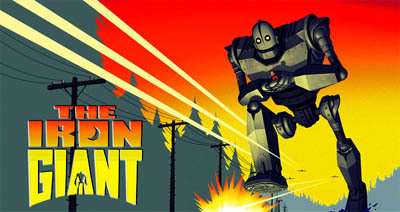 The Iron Giant was our top selection for the most underappreciated movie of the 1990s. We consider it to be one of the five best films of that decade and highly recommend it to the point that Moonies rebuke us for our zeal. Do you love The Iron Giant like we do? Let's find out.